Electrifying: The top model of the Trekking E-Bike series. 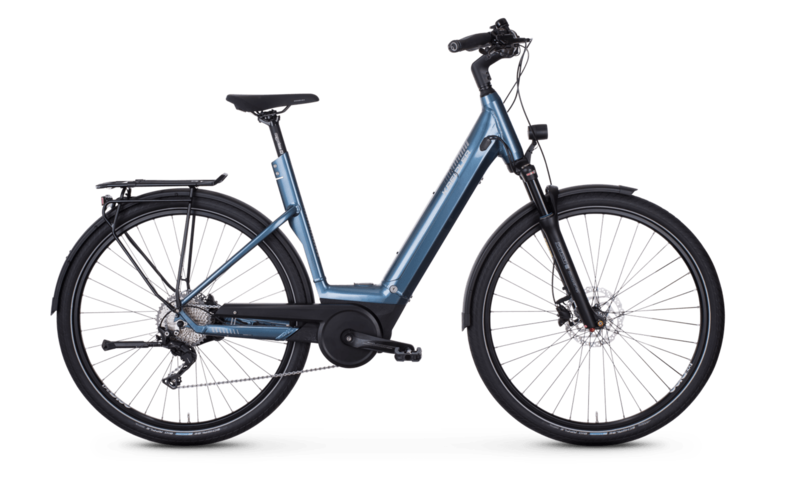 The blue Vitality Eco 22, available in three frame shapes, is the top model of the Trekking e-bike series and convinces with its clear, fully integrated frame design and features that make every e-biker's heart beat faster. From the Bosch Active Plus mid-mounted motor, a Deore XT rear derailleur and Shimano disc brakes to the LED lighting system with Busch & Müller 150-LUX headlights - the well thought-out complete package is just waiting to show what it is capable of in daily use or on demanding tours. A Suntour Mobie45 suspension fork, a saddle from Selle Royal and the excellent GP1 handles from Ergon ensure excellent riding comfort.